Free admission for children 12 and under when accompanied by a paying adult. Maximum 2 children per adult. FREE BINGEMANS OKTOBERFEST KOOL HAUS & PAULANER HAUS TICKETS OCT. 5 & 6 WITH PURCHASE OF ANY SUPER CON TICKET. No processing fees for online ticket purchases. Tickets can also be purchased at any of the 29 Little Short Stop Convenience Stores and Authorized Super Con Ticket Outlet. 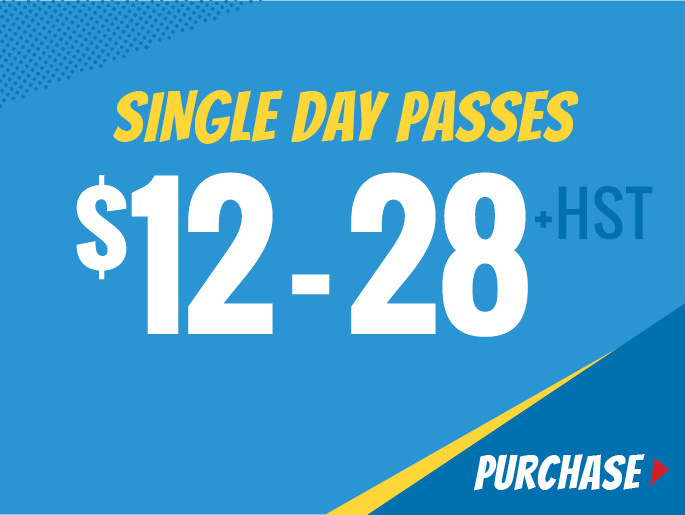 Enjoy all three days of Tri City Super Con for one price! Weekend Pass: $55 advance compared to $60 at the door. LIMITED TO 200 Passes — Deluxe Passes are not available at the door. The Deluxe Pass includes early entrance (30 minutes early), front of the line for autographs and photos. Front rows for celebrity Q&A. Gift bag including Super Con T-shirt, hat, Captain Canuck collector's editions! No Refunds or Exchanges. Guest lineup subject to change. Wristbands and lanyards are non-transferrable. Use the promo code COMICCON18 at bingemans.com/Oktoberfest to get free tickets to Kool Haus & Paulaner Haus on Oct 5 or 6, 2018. Don’t Delay! Offer is valid only while quantities last and may be discontinued at any time without notice.